As a qualified Professional Organiser Carolyn can come and help organise your life, either at home or work or both! Whether it be organizing paper flow in the home office, clearing out the garage, decluttering your kitchen pantry, wardrobe, kids toy room or anything that is causing you stress she can help. Her aim is to help you create order, free time and improve your overall wellbeing. She never throws anything out without the clients permission and is happy to do the job herself or working directly with the client. She has conducted information sessions on Feng Shui and the importance of clearing your clutter to the Sydney chapter of the Australian Association of Professional Organisers. 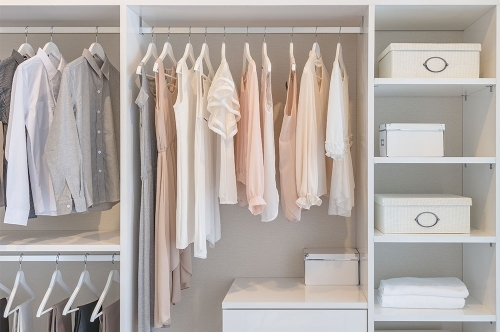 One client who lived in the Pennant Hills area sent her a text after she had spent 5 hours sorting out her wardrobe and 3 hours sorting out her linen cupboard saying “thanks so much for helping me, I love my life now and no longer dread opening the cupboards each day”. Carolyn lives in the Pennant Hills Area which is in the North of Sydney but is happy to travel as far as Newcastle in the North, Wollongong in the South and Katoomba in the West.